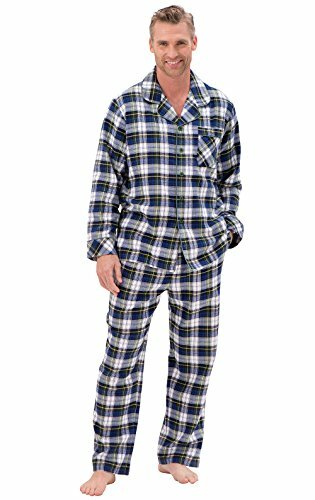 Dad will look downright dashing in these men's plaid pajamas! Each pair includes traditionally styled PJ components, including a long-sleeved button-up top with a notched collar plus full-length matching pants with a comfy elastic, drawstring waist. These men's pajamas are made from 100 percent brushed cotton yarn-dyed flannel for exceptional longevity and colorfastness, no matter how many times you wear them.